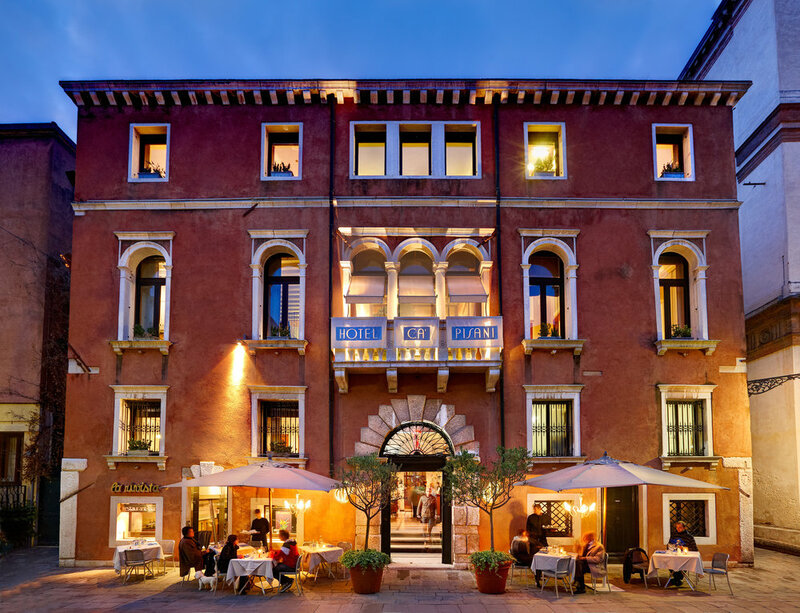 Set in the tranquil pocket of the Dorsoduro district is Design Hotel Ca' Pisani, a sophisticated property that dates back to the late fourteenth century. The hotel is owned by the Serandrei family (four generations) which has been active in the hotel sector for four generations. Original features remain a staple piece of the building, adding a charming sense of character, particularly combined with furniture from the 19302 and 1940s. Architects Roberto Luigi Canovaro and Gianluigi Pescolderung modernised the hotel to encapsulate unexpected contemporary aspects in the Venetian gem. Think luxurious bathrooms, bamboo-parquet floors, walnut bedframes, optic-fibre spotlights, Mies van der Rohe chairs and a roof terrace. Those staying at Ca'Pisani can expect free Wi-Fi, satellite TV and many amenities (such as room service, mineral water, access to the wellness area with Turkish bath and the panoramic terrace with sun loungers). All rooms have a queen-sized bed, double-glazed windows and the Duplex Studio has luxury elements and design spanning across two floors. A buffet breakfast is served daily from 07:00 to 10:30. 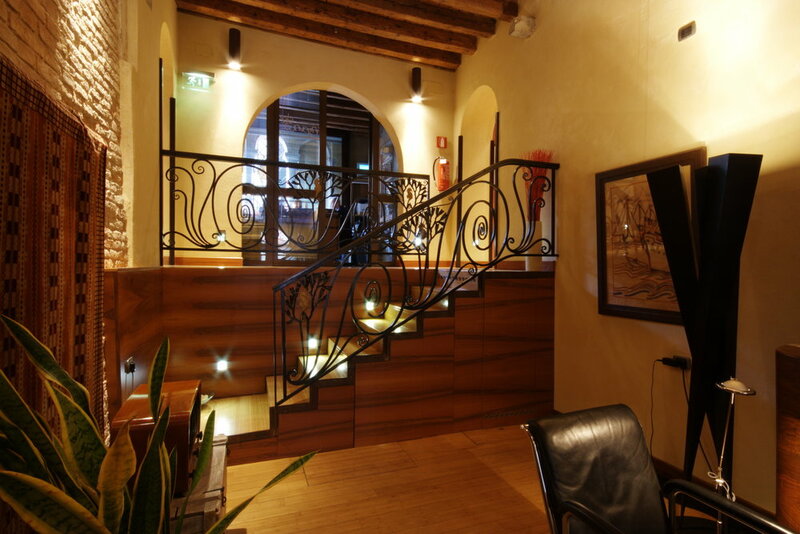 Guests have the option of dining at 'La Rivista' a restaurant with a ‘wine & cheese bar’ which serves delicious and creative Venetian cuisine, with a modern twist in a decent and classic setting. In addition, the location is incredible for art lovers with several places of interest all within walking distance. This includes Palazzo Grassi, Piazza San Marco and Gallerie dell'Accademia.